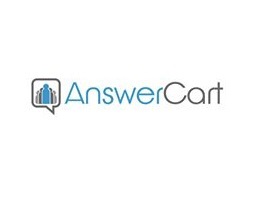 AnswerCart help companies build modern, intuitive & elegant community forums on their website. We have reimagined how community forums should look like & have included some really cool features like personalized home pages, advance editor, gamification, multi-channel notifications, user-driven moderations, auto-answer APIs, auto-distribution APIs, etc. AnswerCart help companies build modern, intuitive & elegant community forums on their website. We have reimagined how community forums should look like & have included some really cool features like personalized home pages, advance editor, gamification, multi-channel notifications, user-driven moderations, auto-answer APIs, auto-distribution APIs, etc. We have a powerful inbuilt search, seamless single sign-on & robust spam control. Our software’s layout & design is completely customizable, suiting all your business needs. Companies use our community forums to drive customer engagement, for customer support & internal collaborations.